Inspira Health Network Bereavement Services are available for adults and children who have experienced the death of a loved one. Adults living with a loss, children living with a loss. No bilingual program available. Community-based grief support groups. www.griefshare.org Access the web site to find information about a group in your community. Fees and topics vary by location. Inspira's child and adolescent partial hospital program (ages 6-17) and Intensive Outpatient Program ( ages 11-17) in Bridgeton help youth to find better pathways to healthy development. The partial hospitalization program provides comprehensive treatment including individual, group and family counseling as well as psychiatric assessment. A family support organization devoted to ensuring that families of children with special emotional and behavioral challenges are provided with compassionate community based care. A school-based program to assist students with learning, behavioral health or health problems that are affecting school performance. The program also promotes the general development of students' self-esteem, interpersonal relationships, problem solving and coping skills. Students may be referred to this program by a school staff member, a parent/guardian or self-referral. 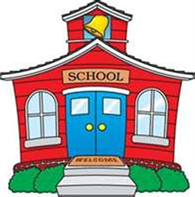 All referrals are confidential and related information is not included in the student's educational record, For additional information, contact a member of the guidance or administrative team at your child's school. School Based Youth Services Program (available to students at Millville High School and Millville Alternative High School). For more information, contact your school counselor or school nurse. Parents Anonymous of New Jersey, INC.
A partner with New Jersey's System of Care as the single point of entry for all children, adolescents and young adults to age 21 who are in need of behavioral health, developmental and intellectual disabilities services or substance use treatment services. A confidential and anonymous helpline for New Jersey's youth and young adults ages 10-24 to help find solutions to problems faced at home, school and play. A partnership with faith based community leaders who respond and assist police and law enforcement agencies to provide appropriate assistance, advice, comfort, counsel and referrals to those who need or request support. A non-profit children's organization that offers services such as counseling , child permanency, prevention and parent education, crisis response, and programs for young adults. ~A treatment team of experts uses therapy, education, and support to empower clients to identify healthier ways to cope with emotional distress. The Department of Social Services serves individuals and families with low incomes, those with mental illnesses, addictions, developmental disabilities, people who are blind, visually impaired, deaf, hard of hearing, parents needing child care services, child support and/or healthcare for their children and families facing catastrophic medical expenses for their children. A NJ agency that works with youth and their families to focus on intensive advocacy, care management, mentoring, family support, life skills training, anger management, coping skills training. YAP is also an approved NJ Behavioral Health provider under the NJ State Medicaid program. Voluntary group meetings open to everyone. No fees or dues, referrals or specific diagnosis needed. People come to GROW with diverse problems in living, including mental illness, addictions, abuse, grief, loneliness, depression, anxiety, stress, and difficulty coping. ~Provides direct family-to-family peer support, education, advocacy and other services to family members of children with emotional and behavioral problems.